Frederick Charles Douch founded our family company of funeral directors in Wimborne in 1910. 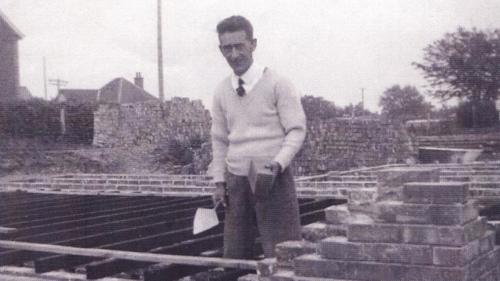 Frederick’s eldest son, Jack, joined the family business in 1935, aged 14. The business is overseen today by Jack’s son, Peter and grandson, Nick. Over the years, the Douch family has developed strong relationships with other family funeral directors in Dorset. We think there’s something special about family-led businesses – they offer a warmth and stability you don’t always find elsewhere. That’s why we love to bring family businesses into the FC Douch fold, making sure we continue each family’s unique traditions. This means you get the benefit of decades of local experience and a heritage of excellence, when you need it most. The Douch and Jolliffe families have a long history together. Jack Douch and Albert (Bert) Jolliffe were both drafted to serve in the Second World War together. When Bert retired early, Jack took over his friend’s family business of funeral directors in Ferndown for him. Jack developed a similar friendship with Ken Smith of funeral directors in Swanage. When Ken Smith retired in the late 1960’s Jack took over the family business. In 1999 Albert Marsh of Wareham & Upton joined the FC Douch fold as funeral directors in Wareham and Poole. Jonathan Stretch is the great nephew of Albert Marsh and now a Director of the Company. In 2000 when Lesley Shand retired, we took over the business of funeral directors in Corfe Mullen but left it in the capable hands of the current staff including manager Shane Watson, who were all trained by Lesley Shand. 2016 saw the opening of our sister branch of funeral directors in East Street, Blandford. In 2006 Anthony Ives of Anthony Ives funeral directors in Parkstone, Poole retired. Our close bonds with Tony and Lesley Shand enabled the business to continue as Ives & Shand. 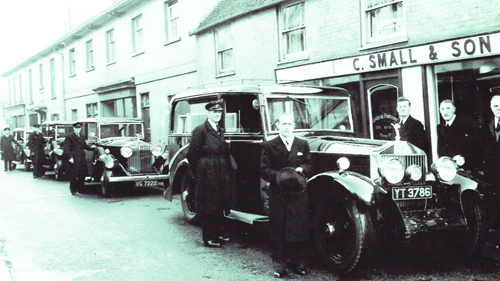 In 2010 the third generation of Smalls of Wimborne, Martin Small, retired. We preserved the Small family heritage and combined it with the Douch name to create Douch & Small funeral directors in Wimborne.